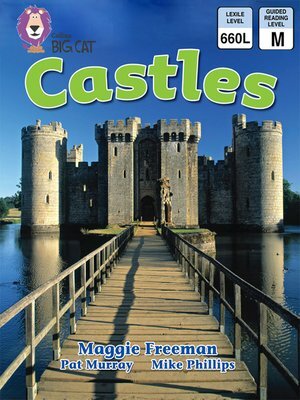 The book reveals how castles were built, not only for people to live in, but also to keep enemies out. Detailed illustrations show the materials that were used and special precautions that were taken to ensure castles would provide adequate defence. Photographs show several examples of castles and castle remains that can still be visited today. â?¢ Turquoise/ Band 7 books offer literary language and extended descriptions, with longer sentences and a wide range of unfamiliar terms. â?¢ Text type - A report and explanation text. â?¢ There is an index on page 21 and a labelled 3-D diagram of a castle on pages 22 and 23 providing an opportunity to recap the information. â?¢ Curriculum links - Art and Design: Can buildings speak? ; History: Famous events (Norman Invasion). Maggie Freeman has published two children's novels and five factual primary literacy books. She has taught in community education for about fifteen years, writes poetry and started what became the Essex Poetry Festival.